Dr. Jennifer Gaudiani offers professional trainings and consultations including a webinar series, individual consultation, and professional consultation groups. The "Sick Enough®" webinar series explores key topics and themes covered in Dr. Gaudiani's book, Sick Enough: A Guide to the Medical Complications of Eating Disorders (Routledge, 2018). These pre-recorded videos are delivered in an engaging format featuring Dr. Gaudiani and a comprehensive and compelling visual presentation. Each episode includes a video file, corresponding presentation file, and continuing education resources should an individual or agency wish to pursue CE credit. 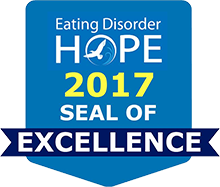 This webinar series invites community providers from all disciplines to learn in detail about the medical complications that affect patients with eating disorders across the recovery spectrum. In this hourlong webinar, Dr. Gaudiani will review in detail the response of the body to malnutrition…regardless of body weight. Going beyond simple recognition, diagnosis, and treatment of these issues, she will focus on how to communicate them with the patient, in order to help foster recognition of the effects the eating disorder has on the body, and promote recovery. Topics include the direct sequelae of malnutrition, such as vital sign abnormalities, hypoglycemia, low blood cell counts, liver dysfunction, exercise, skin effects, autophonia, and others. Additionally, some frequently associated disorders will be discussed, including Postural Orthostatic Tachycardia Syndrome (POTS) and dysautonomia. In this hourlong webinar, Dr. Gaudiani will review the medical complications of purging, from direct physical responses, to electrolyte abnormalities and how to interpret and fix them, to the risks of stopping purging such as Pseudo-Bartter Syndrome and rebound edema. Laxative abuse, diuretic abuse, and purging by vomiting will all be covered. Rare and dangerous sequelae of purging will also be reviewed. In this hourlong webinar, Dr. Gaudiani will extensively review the myriad gastroenterological complications that those with eating disorders can experience, from the mundane to the truly unusual. Topics will include: gastroparesis, constipation, irritable bowel syndrome, involuntary vomiting syndromes, intestinal microflora, dysphagia, refeeding diarrhea, superior mesenteric artery syndrome, reflux, rumination, pelvic floor dysfunction, and more. In this hourlong webinar, Dr. Gaudiani will discuss endocrine implications of eating disorders, including bone density loss, low estrogen, low testosterone, fertility, pregnancy, thyroid function, Type I Diabetes concurrent with ED, and more. As always, the most current medical literature will be reviewed and incorporated into this case-based format. Cost: $50 per episode or $150 for all four episodes (individual rate). If you are interested in purchasing the webinar series for a group practice or program, please contact the clinic for additional details (info[at]gaudianiclinic[dot]com). Click on applicable button(s) below to provide payment information. Continuing Credit: While we are not providing CE credits for this webinar series, we're happy to provide a certificate of attendance for you to submit to your licensing agency for CE consideration.